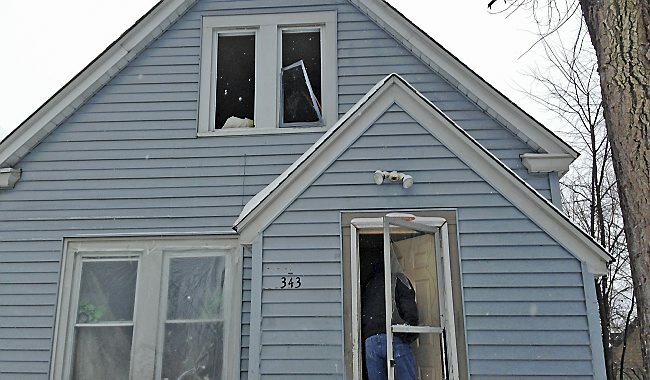 “SOUTH MILWAUKEE (WITI) — South Milwaukee firefighters pulled a woman from the second floor of a house fire on St. Sylvester Dr. on Thursday afternoon, February 27th. Ware said her daughter was in a back bedroom when firefighters pulled her from the home and put her on a stretcher. “I said, ‘Lord, there goes my baby,’ ” Ware said…. A two-storey century home on Fourth Line south of West Lower Base Line in the rural Omagh area of Milton, was engulfed by fire early this morning. The first fire crew on scene rescued two people from a second-storey balcony, Halton EMS transported them to Milton District Hospital for observation. The fire which erupted shortly before 4am, caused significant damage to the home, gutting sections of it and spreading up through the roof. Eight trucks and more than 30 firefighters battled the stubborn blaze, that took more than a hour to bring under control. Fire Chief Brian Ellsworth said it was to early to estimate a damage dollar figure or the cause of the fire, but that the home sustained significant damage. There were no reports of injuries to firefighters battling the blaze and Fourth Line was closed in the area of the fire as water tankers shuttled water to the scene. Firefighters are expected to remain on the scene for several more hours extinguishing flare-ups and investigating the cause. 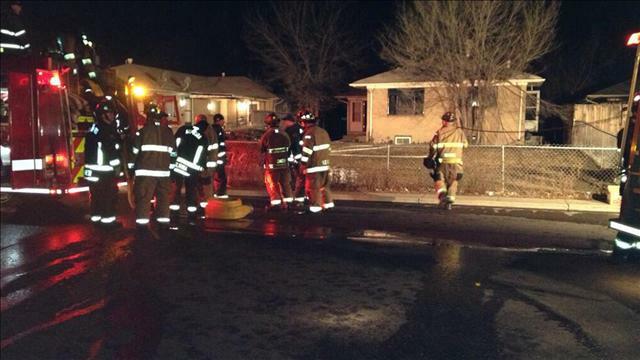 AURORA – A structure fire in the 1100 block of Dayton Street has sent one person to the hospital. The fire started around 9 p.m. Thursday. More Than Just Squirting Water.. In a time when education and learning is absolutely becoming more accepted and desired this section can cause users to view fire attack as a very simplified process and not seek depth of knowledge on part of the most complex event at a fire. That is the coordination between fire attack and tactical ventilation. The document emphasizes many areas but simplifies fire attack line placement. There is a hierarchy of decision making when it comes to attack line placement with many variables. There is a reason for an interior attack line. There is reason for an exterior attack line. We should encourage others to seek the knowledge to know “why” behind the what. The document does not make reference to the difference between occupied and not occupied. So does the above listed information change if there is entrapment or is the recommendation to follow the above listed information? This should absolutely be clarified in the document and discussions. 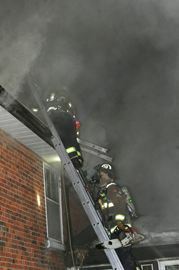 Without clarification it still seems unclear on what crews should do if they arrive to entrapment at a dwelling fire. Adding air to a ventilation controlled fire without controlling the heat is what is killing firefighters. That translates to not flowing or simply putting down the nozzle while inside the fire. Changing that should be a huge focus as opposed to exterior attack. We need to cool smoke and control the heat with the use of the water. My concerns come from my own experiences. I have watched departments that have a long history of doing what this document is recommending regarding line placement. The” plan A” is the exterior attack and then move interior. This plan will fall apart when there is a rescue unless the agency has made it clear that even under a rescue you will still knock the fire down. When proposing change we must recognize and evaluate what we are potentially losing while gaining elsewhere. There are some key things that will be lost when you switch to this model. It is often hard to predict these things while seeing the value in the change you are making. If you move to the above listed model then what you lose over a very short time frame is any experience of what an interior attack line can do and when it should be used. You will not have firefighters or company officers that can assess, evaluate and determine when an interior attack is more appropriate than an exterior attack. You will lose focus that a majority of fire victims are found in the path of egress and that assessing that path of egress is important. To get our committee on the right path we felt that we needed to break our operations into two categories: 1- Confinement Operations. 2- Extinguishment Operations. We felt this was important and NIOSH and Near Misses show that agencies who treat all fires the same end up having near misses or LODDS. It also showed clearly that agencies that did not plan for RESCUES and arrived to find RESCUES changed their primary plan experienced extreme dysfunction and things fell apart to include Near Misses and LODD’s. This was not and is still not okay with me. I see clearly the operational link between actions and outcomes. I see the importance of not attaching emotions to decisions. So we asked some questions. At dwelling fires we CONFINE. We pick the front door for our starting point because that is where we find people who make it out of their bedrooms. We teach our officers if it looks like some place beside side A is the common egress to make that attack entry adjustment. We know that the front door opens to the great room with open floor plan. We assess the fire and determine if it is a compartment fire, a room with a door open or closed, or if it is a great room fire like a kitchen, dining, den, living room. We know these fires will have continuous fuels and will lead to the stairs and hallways. The doors off the hallways are our goal. We will close them from the inside or via VEIS, we call it VES but we understand door control. Our attack lines are focused on one job and that is to cool and completely dominate the fires. We do not dual purpose or over task our crews. We do not have the attack crew also to the primary search. They control the heat because only one tool on the fireground can. They do not put the nozzle down. They may not even put the fire all out, but the line supports the hallways which supports the search and/or VES. We may back out and shift to defensive, but that is our starting point. We also focus on what an attack crew can and cannot do, what size attack line they will need, what nozzle tips etc. We follow the formal process of education (books, videos, studies, SOP’s), training (instructors showing how the tools and teams apply the knowledge from education to support a strategic mode) and drill (just short of 911 getting called we EXPECT to see everything, hear everything that would happen on the fireground. We do not simulate what can be demonstrated with high fidelity). The officer asks the question can WE operate in there, as opposed to “can somebody survive in there.” If WE can be in there, we go with 2 in 2 out in place, declaring offensive strategy and establish a working command. If WE cannot be in there, we do not go, we make the building behave with exterior streams, heavy streams, tactical ventilation (anti-ventilation, horizontal after water application and vertical). We look for areas of refuge and opportunity to conduct VES. If that fails to create a condition we can be in, we declare defensive and behave. We know that activating a mayday will certainly seal the fate of the victim. I say all of this because one of the hard discussions we had to have was “Do we see value in risk?” We agreed that our guys needed the experience of taking lines interior to make judgment decisions in the future and when leading others if they promote. To unify our Operations Division we agreed that it was worth the risk of conducting an interior attack to gain valuable experience to balance against their knowledge. This experience would help with current and future decisions at fires. NO– Follow the extinguishment plan of quick water, hard from the yard, even if you arrive and get a report that someone is inside. If your plan A is to use exterior streams at fires because the (insert acronym here) study or report says so then stick to that plan. Advertize to your citizens, mutual aid companies and your employees. Make it clear. Three firefighters get lost in warehouse and call a May Day. Are you ready to make the call or even answer the call? The Voice is in the Orange Button!! Several people are rushed to the hospital after an apartment fire in South Wichita Wednesday morning. One of the victims is in critical condition. Crews were called to the Parklane Alley Apartments near Lincoln and Oliver at around 1:30 am. They were able to get the fire out in about 45 minutes. 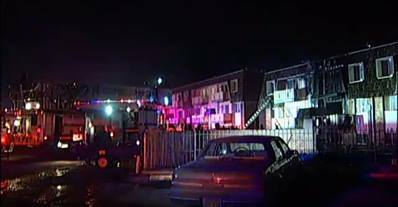 Wichita firefighters rescued seven people from the apartment using ladders. 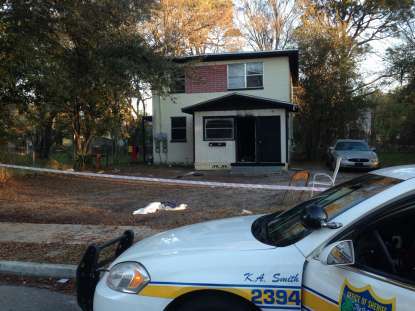 One person was taken to the hospital with critical smoke inhalation injuries. 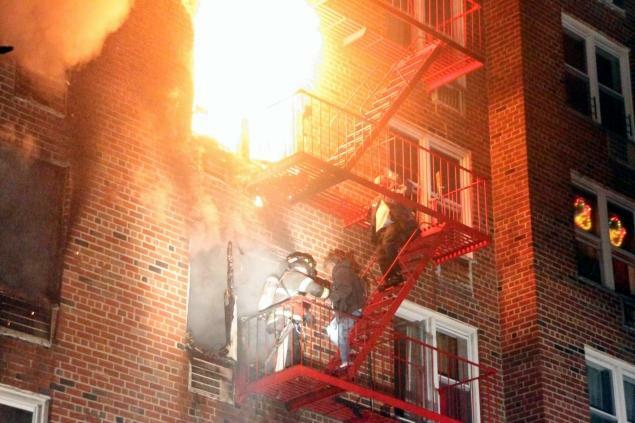 A woman injured her ankle when she jumped from the balcony to escape the fire. No word yet on a cause or damage estimates. MINNEAPOLIS (WCCO) – Firefighters in St. Paul rescued a 9-year-old girl Monday morning after a fire started in an illegal basement bedroom, officials say. 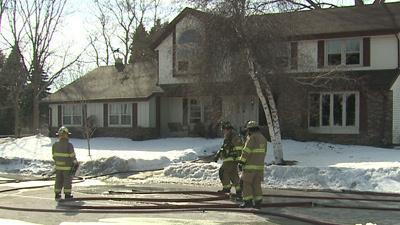 The St. Paul Fire Department says crews were called to the fire on 343 Maple Street just before 11 a.m. When they arrived at the scene, everyone had escaped from the fire, except a 9-year-old girl. Firefighters then searched the home and found her in the basement. “Firefighters brought a line in, down a very narrow stairs and found her near a burning mattress,” Fire Marshall Steve Zaccard said. The fire started in an illegal basement bedroom. There was no fire escape or smoke alarm, officials say. 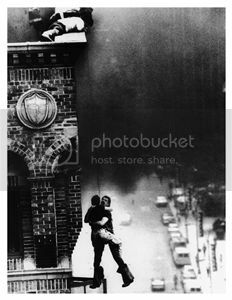 The girl was trapped and overcome by smoke. “Any room used for sleeping must have an escape-size window. That’s a minimum dimension of 24 inches, and with a total opening of 5.7 feet out. 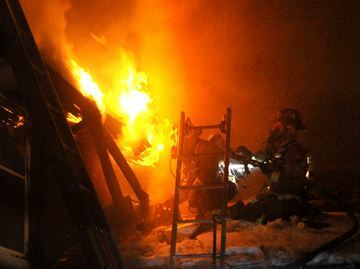 It has to be big enough for someone to get out of, and for firefighters to get into,” he said. Zaccard says the fire and illegal bedroom is being investigated. The girl is at Regions Hospital where she is expected to survive. The American Red Cross is assisting the seven people displaced, providing the four adults and three children with shelter, food and seasonal clothing. The woman was transported to Johns Hopkins Bayview Burn Center in serious condition, officials said. Firefighters aggressively attacked the interior fire although, “extinguishing was hampered by excessive hoarding,” Lt. Jay Ringgold, a fire department spokesman, said. 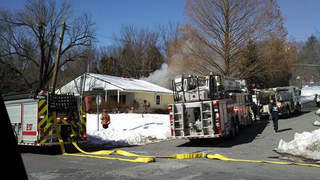 Crews were dispatched to the fire in the 100 block of Timonium Road at around 12:29 p.m. The fire was placed under control by 12:57 p.m. The cause of the fire remains under investigation. Firefighters from the Providence Volunteer Fire Company took the opportunity to remind area residents of the importance of shoveling fire hydrants. 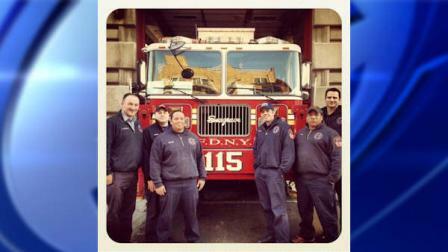 NEW YORK (WABC) — A group of New York City firefighters from Ladder 115 came to the rescue of a woman and two children being attacked in Queens Friday. According to the FDNY, Lt. Brendan Connolly, and Firefighters Ronald Donati, Leo Lopez, Daniel Morales, Nicholas Nugent and Steven Tomicic were driving through Astoria on their way back to the firehouse when they saw a boy waving to the truck. He immediately shouted to stop the truck and hopped off. The woman was pointing to a man, her husband, who was dragging a young girl down the street. Lopez called to the man to stop, but he kept moving. The firefighters ran towards the man, who was large and appeared inebriated, and made a barrier between him and the woman and children. As Donati, Morales, Nugent and Tomicic kept the man cornered, Connolly and Lopez talked to the family, trying to distract the kids by talking about things like school and their sneakers. The boy told them he someday wants to be a firefighter, and the girl said she wants to be a police officer. The man was taken into custody by police officers from the 114 Precinct.